Since the Staines Tern extravaganza last week, I haven't had much chance to venture too far from home. Car trouble meant a visit to the garage on Friday - the Peugeot needs new shock absorbers, and a bunch of other bits to stop it feeling like I'm driving over cobbles when on the motorway. Yesterday evening was spent in Margate for my parents Diamond Wedding anniversary party at their local bowls club. It was a good bash - it was good to catch up with family we haven't seen for ages. My parents have a large group of friends who all turned up - their average age must have been about 98. They all managed to survive the evening - I think Annie and I were more knackered by the end of it than they were. It was like a scene from the film Cocoon - it must be all that sea air. The party went on until nearly midnight. We eventually arrived home and put the key in the front door at 2am. From a selfish point of view, I didn't miss much on the birding front. In fact, the migration sightings over Surrey have been relatively few in recent days - the weather has just been too nice. 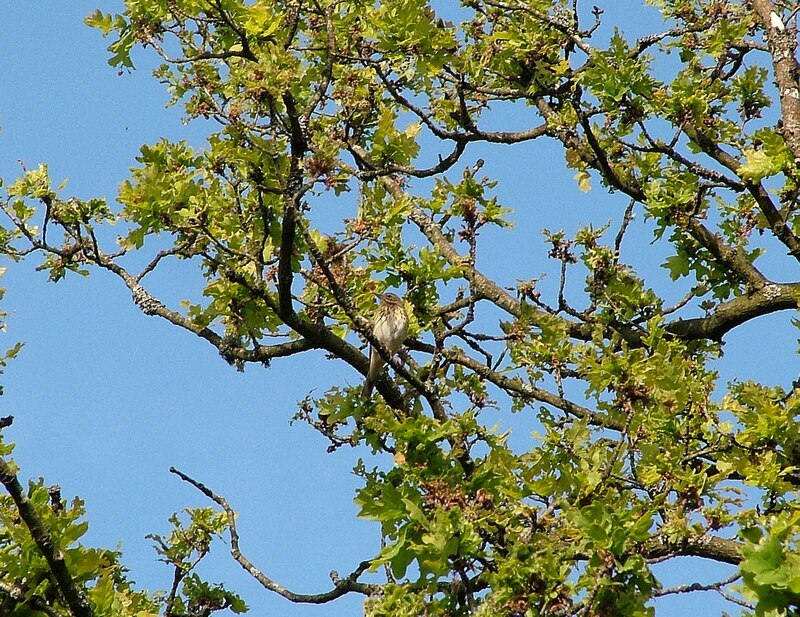 If you get good weather in Surrey it generally means any migrating birds will continue their journey to their breeding grounds and won't feel the need to stop off en route. Annie and I took a trip out to Holmbury Hill late on Friday. It is one of our latest favourite haunts. Very peaceful and great views. It's also pretty good for birds. 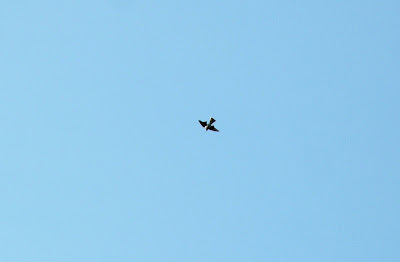 Having heard them calling, I caught sight of two Cuckoos at the top of the hill as they flew down the hill. A Sparrowhawk drifted past, and two Tree Pipits were singing and parachuting to their hearts content. I also took a quick visit to my local patch on Saturday morning, and remarkably for me I came up with a first sighting for the year for the patch. 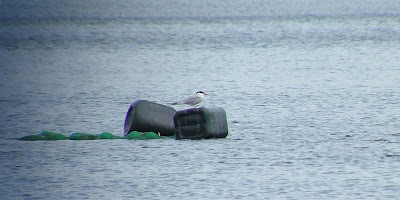 While searching Spynes Mere and Mercer's West lakes, I caught sight of a Black Tern feeding on Mercer's West. I didn't have my camera, scope or mobile phone with me - just my bins - so I had to sprint back home to send the message out. By the time I got back, both Graham James and Gordon Hay were at the scene, but the Tern had gone. We all took a quick look over at Mercer's Lake to see if it had moved on there but nothing doing - just a Common Tern that had been on the Lake for the last few of days. Apart from that, and Gordon spotting a Hobby this afternoon, all is quiet in the area. Although I personally prefer the good weather, what we really need in the next few days is plenty of wind, rain and cloud to force some birds to pay Holmethorpe a visit.